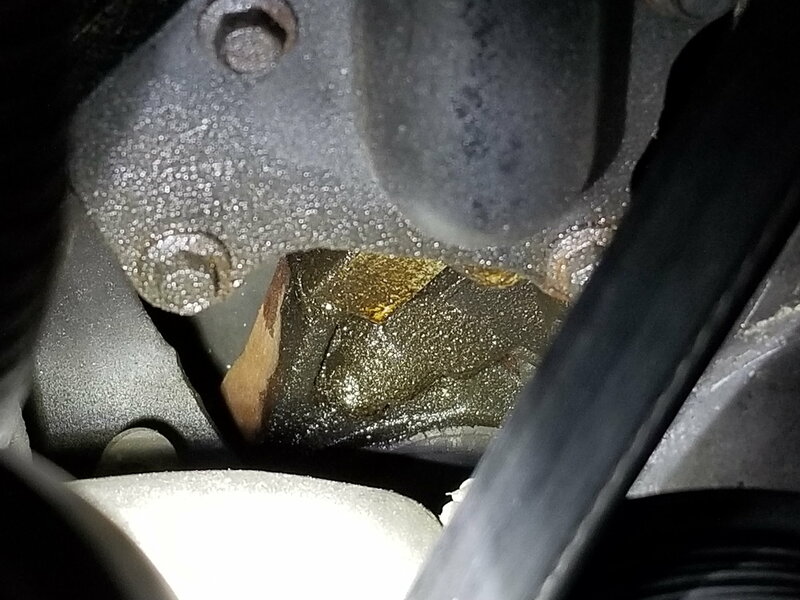 Doing my monthly oil check yesterday, I noticed oil dropped more than usual-still in the safe zone but definitely dropping oil. 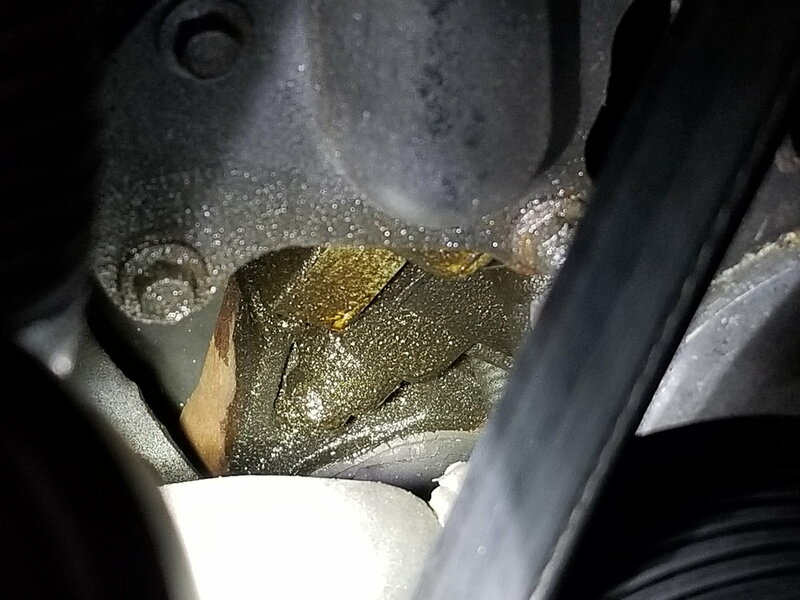 There's a drip somewhere above the oil filter that's dripping a few drops onto the oil filter. 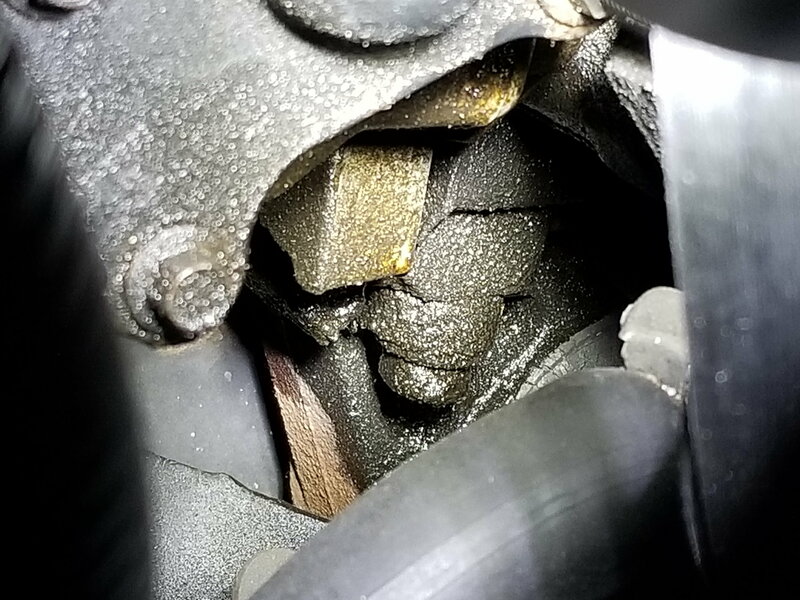 It might be near the oil pressure sender because there's definitely moisture around there. I replaced the sender two months ago and at first I thought I hadn't tightened enough but I sneaked a mirror up and its dry where the sender screws into the block. Might be the sender itself (got it from Advanced Auto - BWD), so I'll probably replace that again. Any other places I should look on that side? But on the other side I noticed oil dripping below the oil filler tube - see the pics below. Does this look familiar to anyone? Could it be the PCV? Any help would be greatly appreciated!